California is home to dozens of great fishing spots that appeal to all types of anglers. 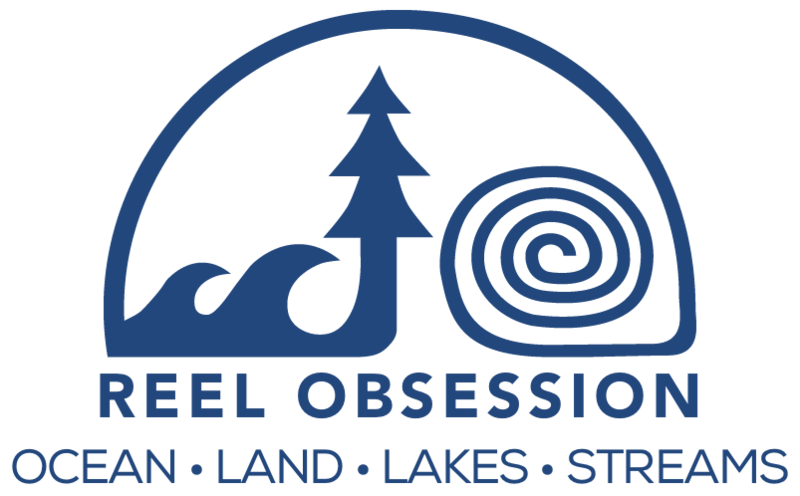 Whether you’re looking for a hotbed of recreation and activity or something more off the beaten path, whether you prefer shore or boat fishing, whether you’re a novice or a seasoned pro, the numerous and varied choices makes it easy to find a locale to suit your specifications. 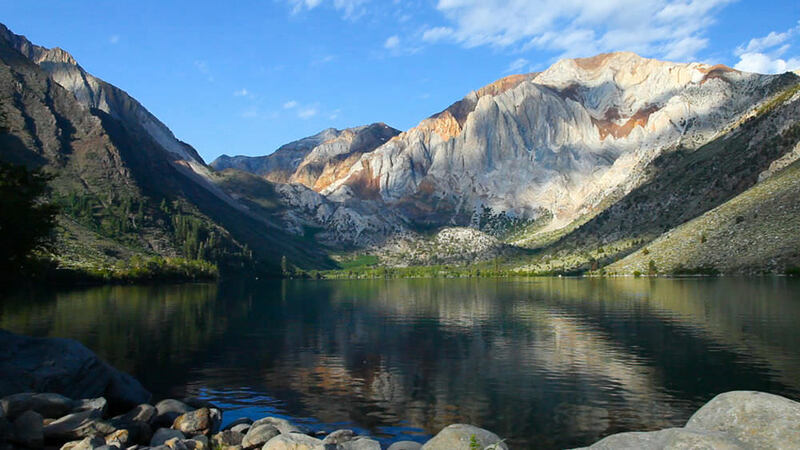 Located in Mammoth Lakes in the Eastern Sierra, popular Convict Lake is nestled amidst beautiful scenery and is one of the best-known spots for trout fishing in California. Fishing season spans from the last Saturday in April until November 15. One of the Mammoth Lakes, Crowley is considered one of the best stillwater trout fisheries in the country. It’s one of the largest and deepest lakes in the region, and its trout can grow 6 to 9 inches a year. 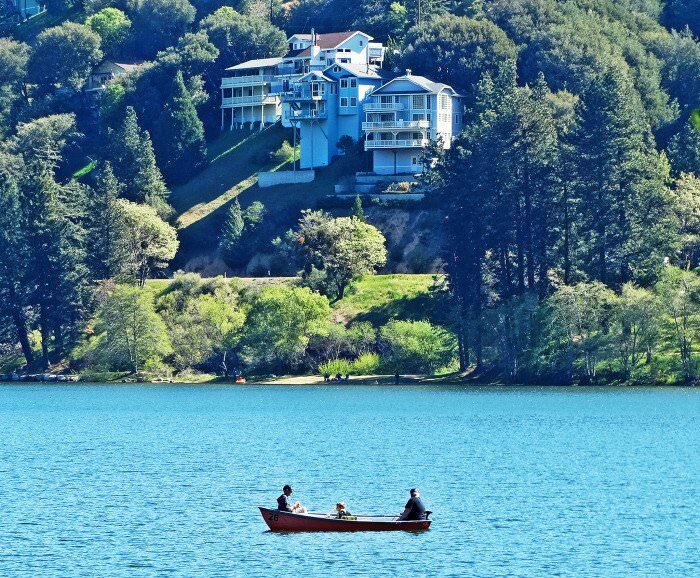 The lake is stocked with several types of Rainbow Trout including Eagle Lake, Kamloops, and Colemans; one of the region’s only truly native species, Lahontan Cutthroats; California’s largest Sacramento Perch population, and two types of Browns. 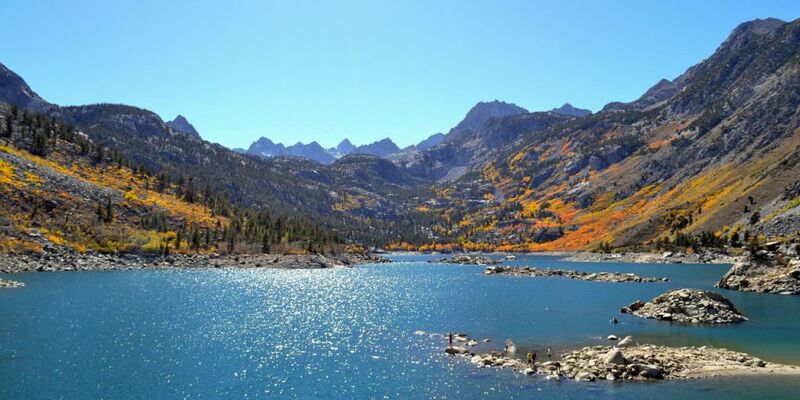 Located in Mono County in Eastern California, June Lake is an ideal trout fishing spot. Popular with both novice and seasoned anglers, June Lake is known for being home to a unique trout species, Lahontan Cutthroat Trout, as well as Rainbow, Brown, and Alpers varieties. Lake Almanor is a large reservoir in northwestern Plumas County, south of Lassen Peak near Chester in northeastern California. A family vacation favorite, the lake is home to Rainbow and Brown Trout, King Salmon, and Smallmouth Bass, along with other species such as Catfish and Smelt. Spring is an ideal time to visit, when the water begins to warm. Either side of the peninsula and Big Springs Cove are ideal spots to set out. Midway between Los Angeles and San Francisco and about 15 miles northwest of Paso Robles, Lake Nacimiento is the only lake in California stocked with white bass. Many other native warm water fish are also present, including Largemouth and Smallmouth Bass, Bluegill and Crappie, and Carp and Catfish. Located between Bishop and Mammoth, Little Lakes Valley is among the most beautiful fishing spots in California. 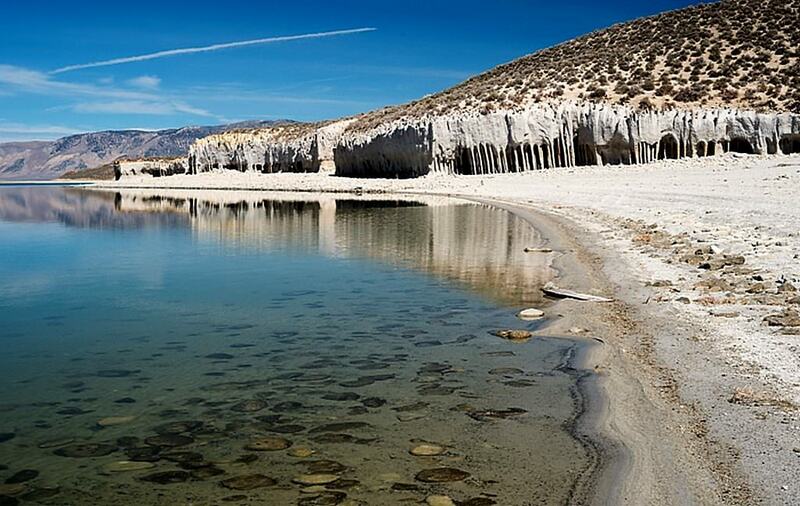 To find this hidden gem, travel 15 miles north of Bishop on Hwy 395. Turn on Rock Creek Road at a small village called Tom’s Place. The lake is about nine miles from Hwy 395. Go past the lake on the westward side and proceed for two more miles to the Mosquito Flats Trailhead. The Little Lakes are a haven for those who enjoy solitude, and a great place for fly-fishing. Located among the fir and pine trees along the shore of Huntington Lake in the Sierra National Forest, North of Shaver Lake, Lower Billy Creek is ideal for all Huntington Lake activities, including sailing, water-skiing, fishing, and swimming. Huntington is a high mountain lake stocked with German Brown Trout, Rainbow Trout, and Kokanee Salmon. The lake is great for trolling, shore fishing, and fly fishing. 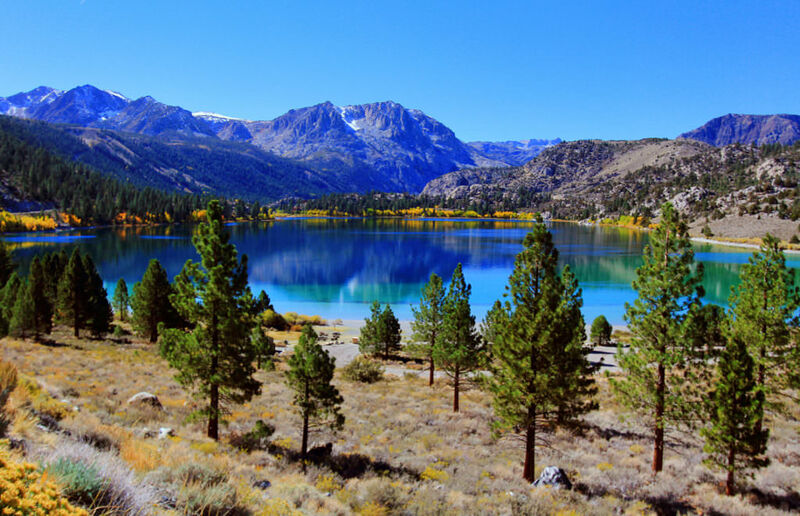 Located in the Inyo National Forest west of Bishop, CA, the Sabrina Campground lays along picturesque Bishop Creek. It’s about three miles from Trout-filled Lake Sabrina, and about 10 miles from South Lake. Both are popular fishing destinations. 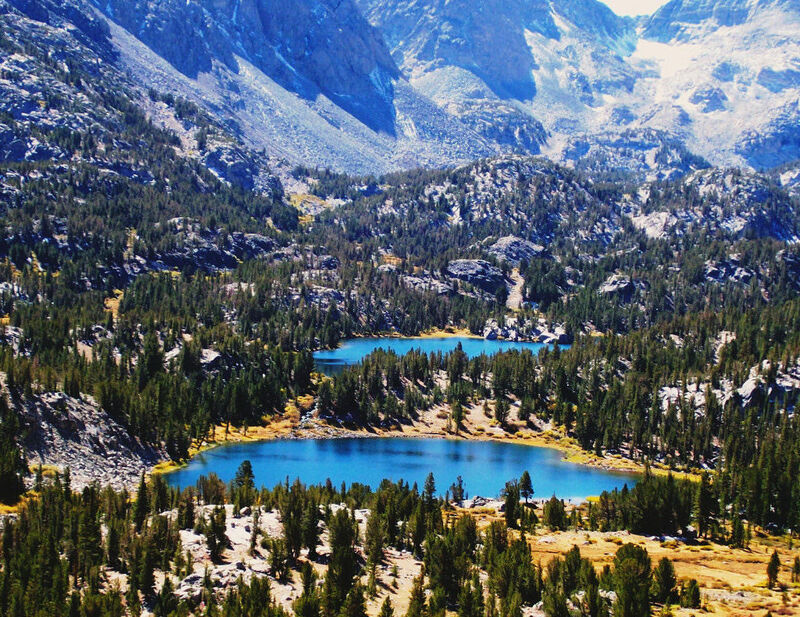 Adventurous anglers who enjoy a hike can explore further by checking out trails leading into the John Muir Wilderness, providing access to mountain lakes and the Sierra Crest. 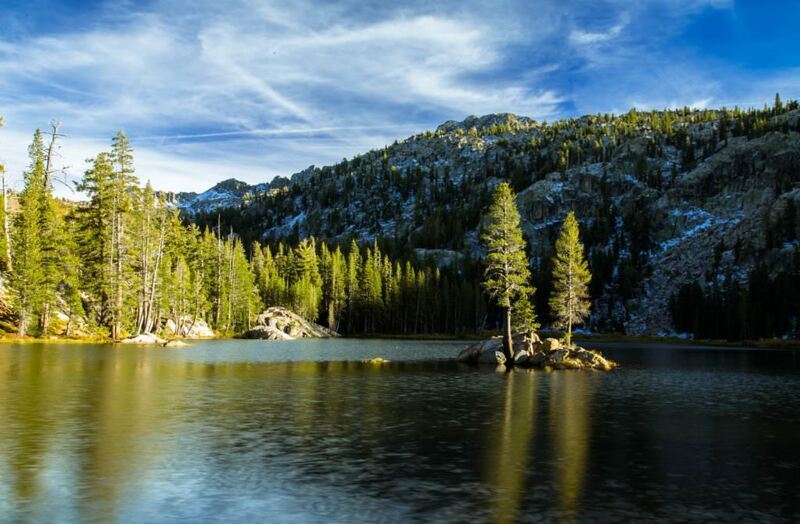 Located about 50 miles northeast of Fresno, California, Shaver Lake is accessible for year-round fishing and ideal for anglers of all skill levels. 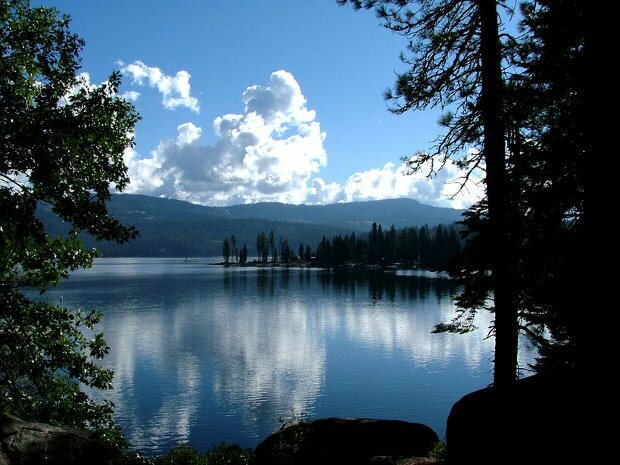 Suitable for both shore and boat fishing, Shaver Lake is home to primarily Rainbow and Brown Trout but also Kokanee Salmon and Smallmouth Bass. 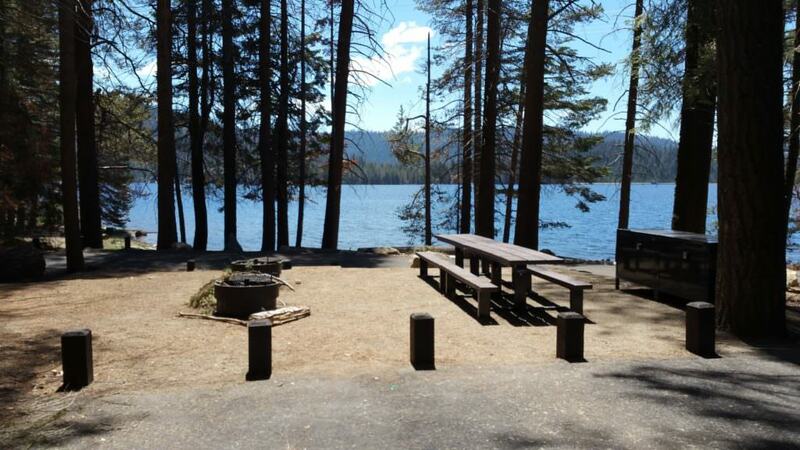 Located 63.5 miles east of Jackson on Highway 88 and 2 miles south of the highway near Carson Pass, Woods Lake Campground, in Eldorado National Forest east of Kirkwood, offers idyllic alpine mountain scenery. Open late-June through September, it is a summer fishing spot. Check out these websites for more on California’s many fishing and camping opportunities.